Free history data for Stocks, Forex, Index, Options. History download app is desktop software can be used only with Interactive Brokers. 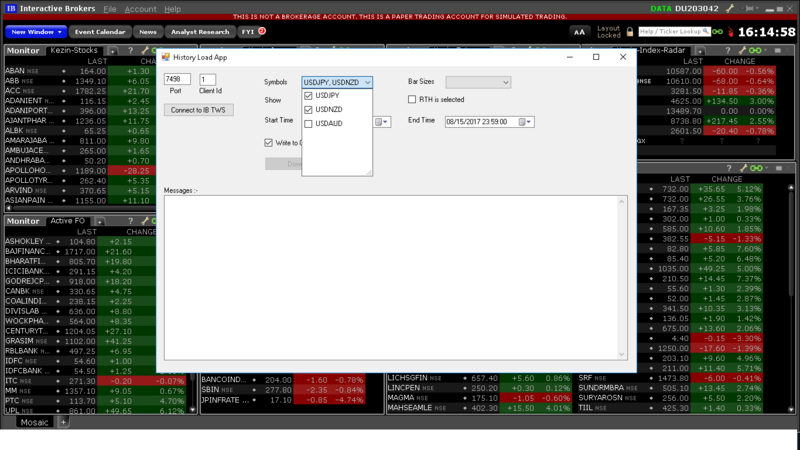 Supported securities: Forex, Stocks, Futures, Options (Active Options only) for all exchanges supported by Interactive Brokers. History data download limitation is as per Interactive Brokers history download limitations. 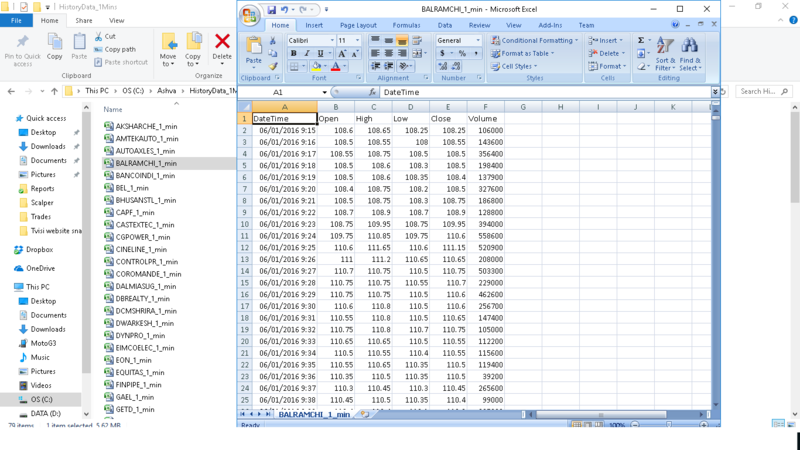 Software can download history data and dump in Excel, .csv files or in SQL 2008 Database. Supported time frames : 1 sec, 5 secs, 10 secs, 15 secs, 30 secs, 1 min, 2 mins, 3 mins, 5 mins, 10 mins, 15 mins, 20 mins, 30 mins, 1 hour, 2 hours, 4 hours, 8 hours, 1 Day, 1 Week, and 1 Month. User can add any number of tickers. Our software will download history data for entire ticker list. Set port number and client Id on IB TWS API settings. Set same port number and client id on our software. 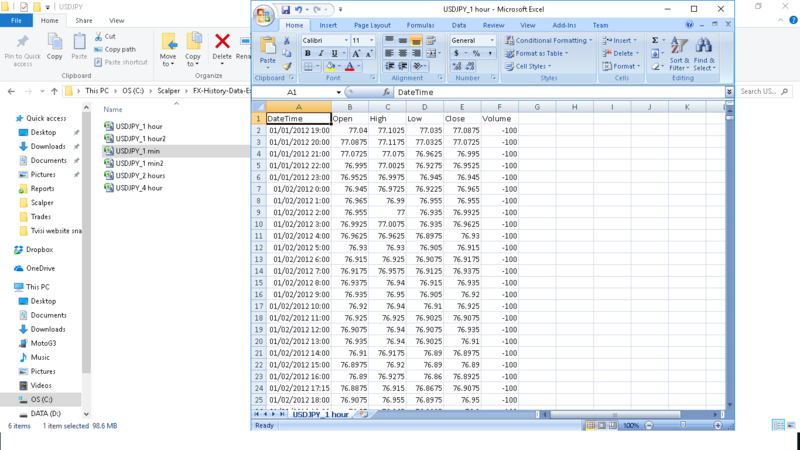 Free version of software can download history data upto 6 months for any ticker. Software can be connected only with 1 Interactive Brokers account through single port and client Id. Our team will assist with complete initial setup. Tvisi Algo Systems LLP does not claim history data downloaded from Interactive Brokers through our software is accurate or downloaded data will match with exchange data. In case of any data discrepancy or mismatch or losses in trading or losses in investments or any other issues with regards to data or history download utility software, Tvisi Algo Systems LLP holds no responsibility or Tvisi Algo Systems LLP cannot be held for any kind of liabilities or losses. Please fill below form for free version or full license version of history data download software.